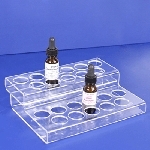 Vapors and E-Cigarettes are becoming increasingly popular, therefore, keep up with the times along with supply and demand by adding a display that is up to par for these essentials. 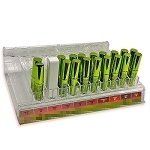 Our line of vapor displays will not only highlight your customer's favorite e-cigarette pieces and vapes, but will also save you space and time in the process. 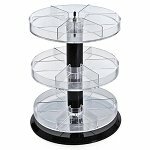 Round Acrylic Counter Display - 11"
3 Tier Counter Step Display - 12in. 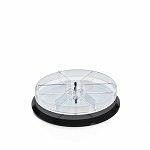 These holders are made out of sturdy, clear acrylic material, some clear cases come with a locking mechanism that is suited for your more expensive merchandise plus keeps the honest patrons honest. 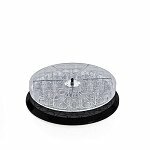 The designs for our merchandise varies; some are slotted, trays come with dividers, certain ones spin in addition to more so many more types and styles. 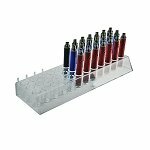 Think in quantities and have your vapor device and flavors together in an all-in-one easy to shop display rack. 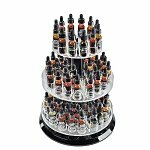 Vapes and E-Cigs are the new trend these days so don't get left behind. 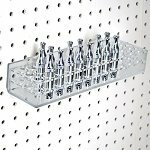 Embrace the change in your store and provide your customers with options. 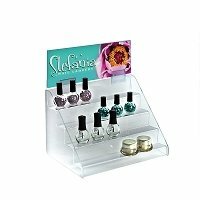 These acrylic displays open a whole new opportunity for you and your store. 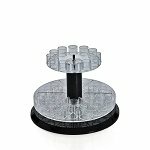 Display a wide variety of accessories for the e-cigarettes or utilize these acrylic displays for other merchandise such as cosmetics, nail polish and other ideas. 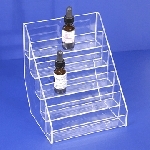 All Store Displays has a variety of acrylic retail displays to choose from so come and see for yourself. 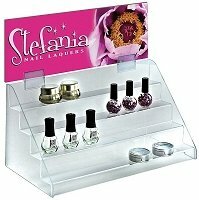 Gain attention towards a sales fixture by adding one of our retail signs to your exhibit or store window. 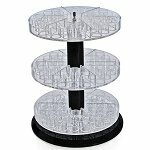 Impulse buying creates an opportunity to increase sales. 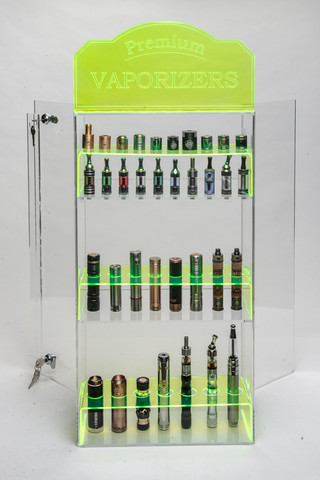 Check out our vapor displays and add them to your store shopping cart today!